Like it or not, but this is happening! Not less than the first real BT mug was spotted in stores. 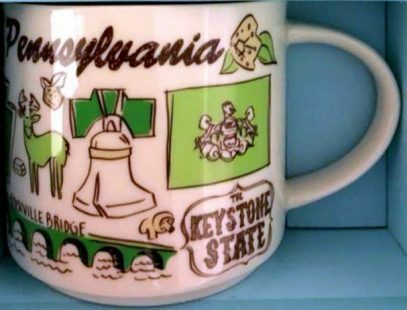 And this is… Starbucks Been There Pennsylvania mug! I did expect these to come later, but it’s here and it’s real. Numerous stores across US and Canada already announced YAH retirement by placing signs next to stands with mugs earlier this week. I still thought we have time, but there isn’t. Hoard what you can hoard guys! P.S. Will update the post with the description of the mug later. Stay tuned.